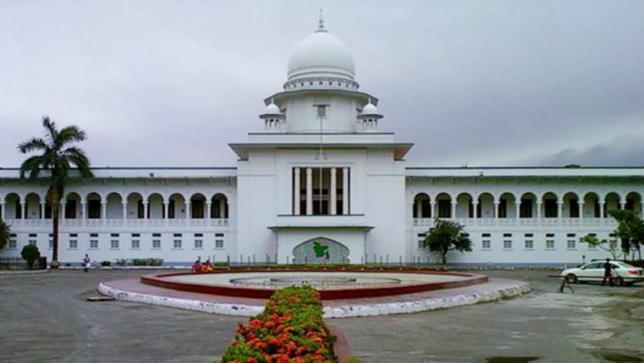 The High Court has stayed the Feb 26 bypolls to Dhaka North City Corporation (DNCC) and elections in new wards for three months. Justice Naima Haider and Justice Zafar Ahmed passed the order yesterday after two Union Parishad chairmen filed petitions, reports BDnews. After the death of former Dhaka North mayor Annisul Huq on Nov 30, 2017, the commission declared the election schedule on Jan 9. Ataur Rahman and Jahangir Alam, the chairmen of Bhatara and Beraid union councils respectively, challenged the schedule in court on Tuesday. Their union councils are now city corporation wards.Ataur and Jahangir are general secretaries of Bhatara and Beraid unit of the BNP and the Awami League respectively. Lawyer Ahsan Habib Bhuiyan representing Ataur mentioned that the EC set Jan 18 as the deadline for filing nominations, but the electoral roll was yet to be published. “The nomination paper requires the signatures of 300 voters. How is that possible without a voter list?”The formation of the city corporation is deemed valid if 75 percent of representatives, including the mayor, are elected and their names are published, according to the Local Government (City Corporation) Act 2009.“The wards, if the new 18 are added, do not make up 75 percent of the Dhaka North City Corporation because elections were not held in the new wards,” Bhuiyan said. His client’s petition also questions why the councilors from the new wards, when elected, will not be able to remain in office for a five-year term.